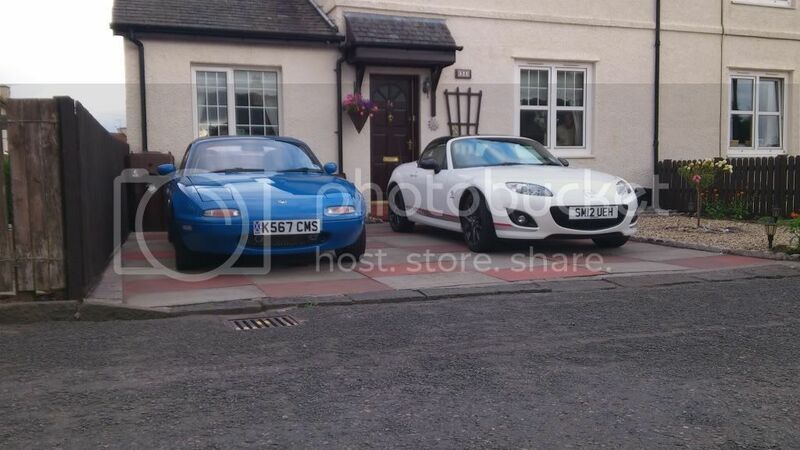 MX-5 Scotland • View topic - Old and New! very nice, but give me the choice and I know which one I,d have,I still prefer the old design to the modern one any time, much more sporty and sleek. I'm with you there Alice. I am getting to like the mk3/mk3.5 but I still think the mk2.5 is the sexiest looking, both inside and out. Much smoother softer lines. 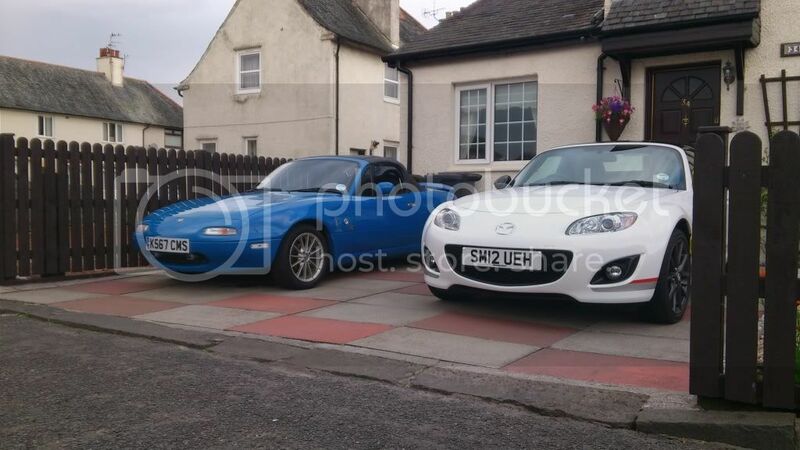 great you have kept your mk 1. your new kuro looks brilliant . how are you enjoying it. 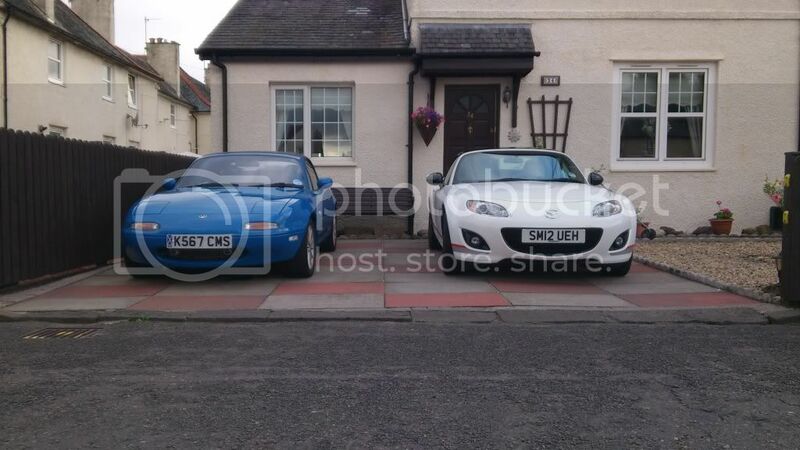 hi Robert, me I like them both but,like the others, love my Mk1 !! Jen prefers the Mk3 as its easier for her to get in/out off and she tells seats are more comfortable. Thanks for all your comments, love them both. Spoilt for choice, but lesley prefers to drive the kuro.